PAINTERS TOUCH ULTRA COVER contains breakthrough technology that provides twice the coverage on wood, metal, wicker and more. * It covers surfaces with less spray passes, allowing projects to be completed faster and easier. Any angle spray feature allows you to spray in any direction, even upside down. Comfort spray tip with wider finger pad reduces fatigue caused by continuous spraying. Fast drying. 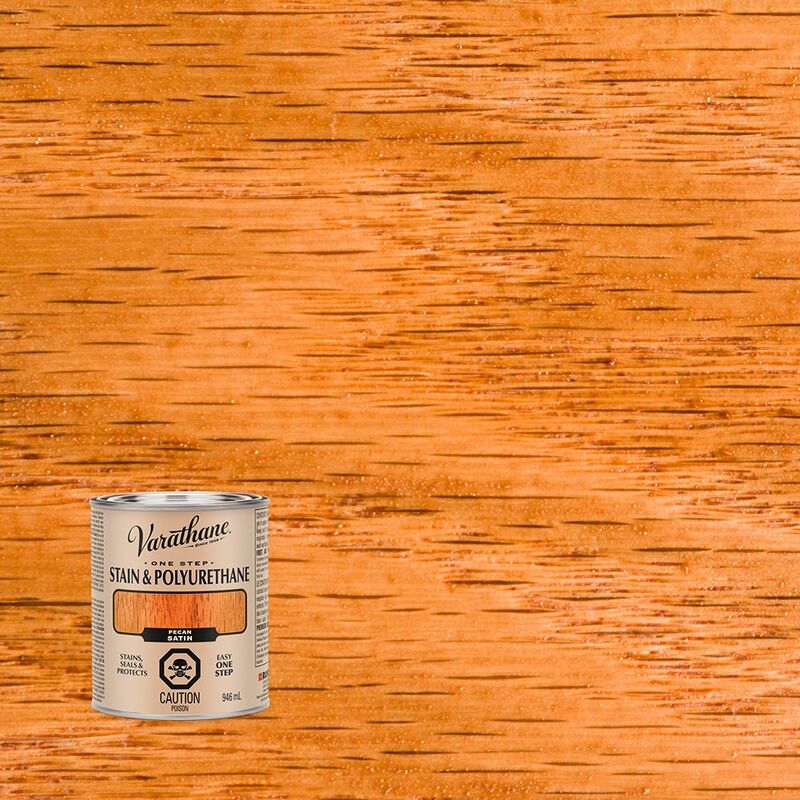 Varathane Stain & Polyurethane Satin Pecan 946ml In one easy step, you can now apply both stain and polyurethane to your wood project using Varathane One-Step Stain & Polyurethane. Premium pigments provide deep, rich colour while Varathane's renowned polyurethane adds a smooth, even protective finish without brush marks.